Is There a Different Way to Approach It? One novel idea for shortening divorce proceedings comes from across the Atlantic. Sir James Munby, a British judge, has suggested that court should “bring about a complete de-linking-separation of divorce and money.” In other words, instead of having asset division and spousal support as part of the divorce process, the two should be completely separate. In this way, a divorcing couple could become divorced in a matter of weeks, if not days, and then divide their property and money in a separate court process if they so choose. Child custody and support cases are often separate from divorce procedures already. Child custody/support can be independent of marriage (some couples have children without being married) or the custody/support case can outlive the divorce, as the parents are responsible for their children until the kids turn 18, even if the parents’ divorce ended years ago. Sir Munby’s proposal would split property and money issues from divorce just as child custody and child support issues are split. 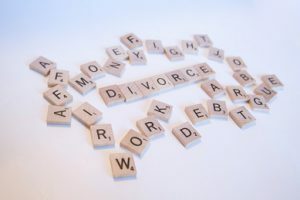 If property and money issues are detached from divorce, what is left for the divorce court to do? In Britain, fault divorce is still the default, so the divorce courts would presumably spend greater time determining why a marriage ended. In the U.S., no-fault divorce is omnipresent, so that same type of inquiry would not exist. Indeed, dividing the financial aspect of a divorce from the marital status would dramatically speed up the process, as the parties would just declare their new divorce status and leave the details for later rather than wait until the end for the judge to sign off on the judgment. Of course, leaving financial (and parenting) issues for another court at a later date would not preclude the need for legal advice. Determining who gets the family home, dividing tax liabilities, and whether a party needs support and how much support are still issues that would need to be resolved at some point. If there are any accusations of domestic violence, the court should slow things down and determine what is going on. But for couples that just want to “get it over with” as quickly as they got married, the divorce process can be a lot faster than it currently is. There is one significant reason why American law would not separate money from divorce. In the United States, couples also have the option of being legally separate. This status means that the parties are still legally married, but no longer living together. This option has a number of useful advantages. First, many couples choose legal separation as a prelude to divorce. Many states have residency requirements at both the state and county level. Legal separation is a way of meeting those requirements while still living apart. Second, many religions frown on divorce, but have no opinion on legal separation. Being separated is often preferable to being divorced when seeing the in-laws at Thanksgiving. Finally, legal separation means that while the parties are no longer legally married in status, their finances are often still entwined. Legal separation in the United States would potentially fulfill Sir Munby’s vision of a divorce without finances, provided that the parties are comfortable with the arrangement.